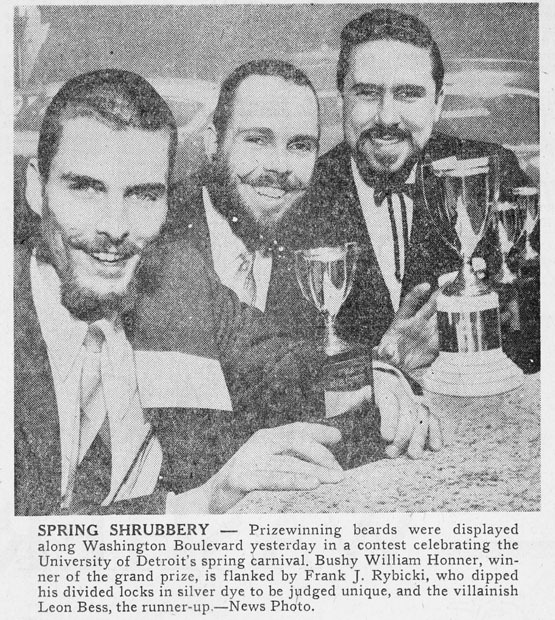 For several years back in the 50′s, the University of Detroit Spring Carnival held a beard contest. 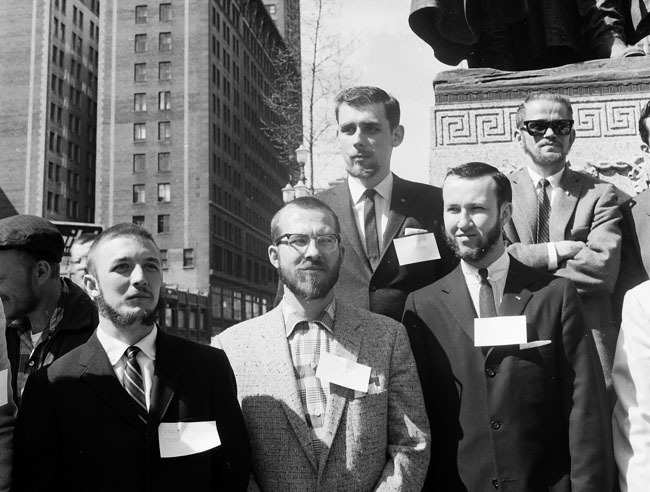 There were categories such as Full, Unique, Van Dyke and a Special Award to the best recreation of an historical beard. 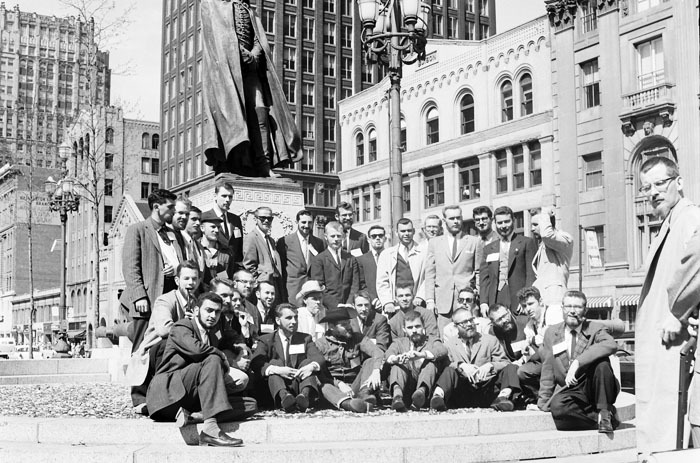 The prizes included Remmington Shavers and Grooming kits by Remmington. Afterwards (back on campus) there would be a shaving contest in which there was a footrace (20 yards) to the judges stand to line up for the smoothness test by King and Queen of the Carnival.